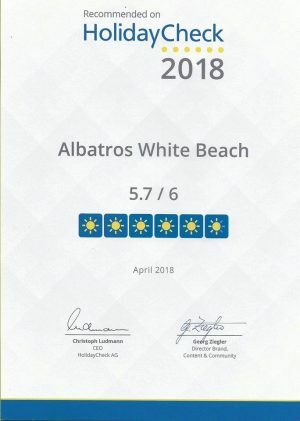 We are delighted to announce that White Beach Resort is, in 2018, one of the highly-rated and recommended hotels on Holiday Check, the leader in guest-driven holiday reviews for the German and Austrian market. With a score of 5.7 out for 6, the review site confirms the positive experience that guests have enjoyed at the hotel. 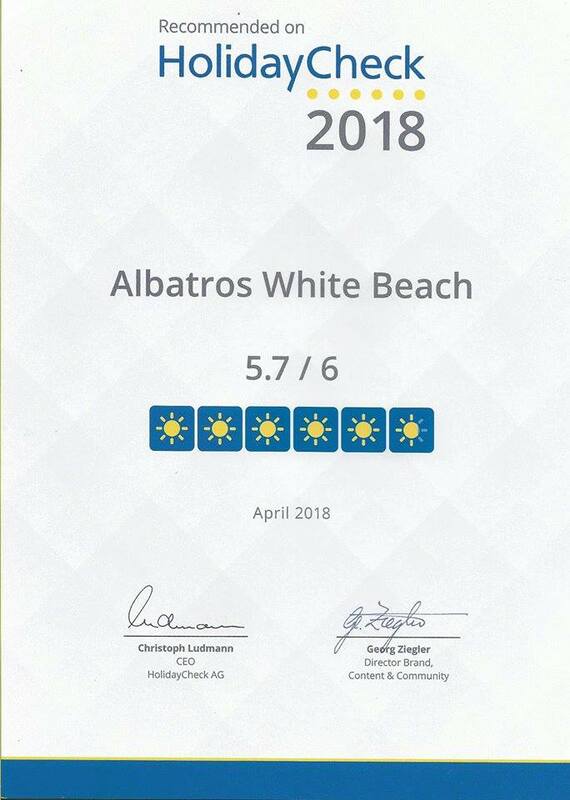 These scores show that the staff and management are working hard to welcome and to deliver the best possible service to our guests. Your opinion is important to us, too! If there is anything at all that you are satisfied or unsatisfied with, please don’t hesitate to let us know.